As fall graces us I’m drawn to cozier, warmer flavors. Nothing seems to embrace the change in season better than cinnamon, ginger & cloves. 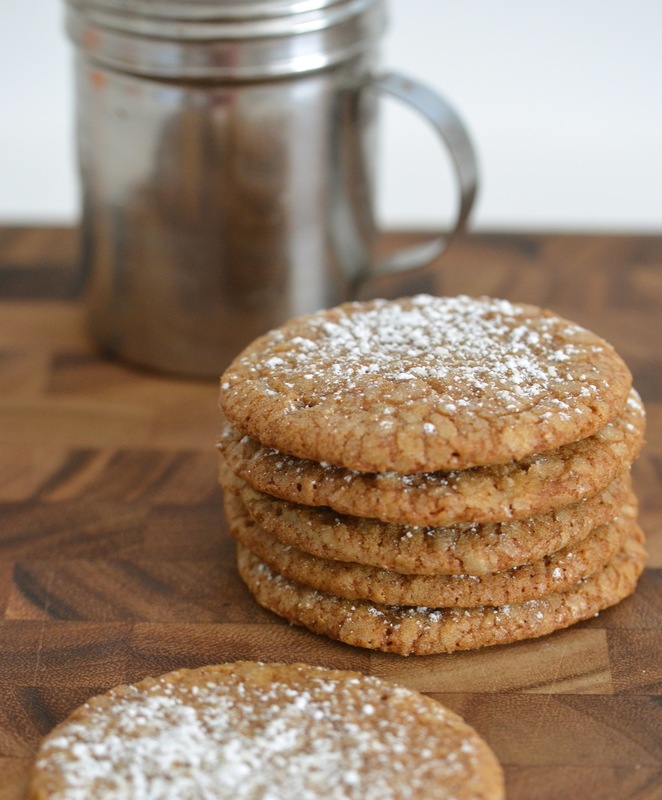 I happen to have a favorite cookie that incorporates all of these—Soft Gingerbread Spice Cookies. The true highlight being the ginger. Spicy & pungent, ginger adds a zing to any dish, and a little goes a long way! Additional to its culinary uses, ginger root is known for its strong medicinal qualities, and since ancient times has shown effective for GI troubles, aiding indigestion & even motion sickness. The official name is zingiber officialle, and the rhizome of the plant is not only soothing to thy stomach, but the gingerol compound found in the root, has been shown in modern studies as a potent anti-inflammatory aiding in arthritis. Additionally it has shown to be an antioxidant, and to inhibit tumor cell formation in recent mouse studies. I enjoy ginger in many of its forms: I drink ginger tea, use ginger syrup in sparkling water, and have come to enjoy it crystallized—and who isn’t tempted to order a Canada Dry on an airplane? So many ways to enjoy this spice, it’s almost too easy. Though you can find ginger to simply supplement, I prefer to cook with it using the root or ground ginger. Though I don’t consider cookies to be a health food, sometimes you just need to bake. Using some ground ginger, created these boasting a slightly crisp outside, and a soft center. These are thin like the cutout gingerbread kind, but taste much lighter. I love to have one right from the oven with a little powdered sugar on top. I get requests for these from friends quite a lot, so I always double the batch! I even like to make the dough ahead and freeze it for impromptu cookie emergencies—you can never be too prepared. I think these are a must try as the holidays grow near (and word on the street is Santa is quite partial to them too). They also make for an excellent dessert for holiday gatherings or potlucks . . . and really, they’re just down right simple to make. It’s time to get yourself a glass of milk, a couple of these cookies, and your day just became a little sweeter (and cookies are a legitimate lunch). Could someone tell be what “baker’s sugar” is. asks for white sugar also. Powdered sugar is also used. Baker’s sugar has me stumped. Someone please tell me what it is??? ?